Interested in acting or producing movies? The Hawai‘i Island Film Office and the Palace Theater is offering a workshop on acting and producing for film and television at the Palace Theater in Hilo on Saturday, March 3, 2018, from 8:30 a.m to 4:30 p.m. 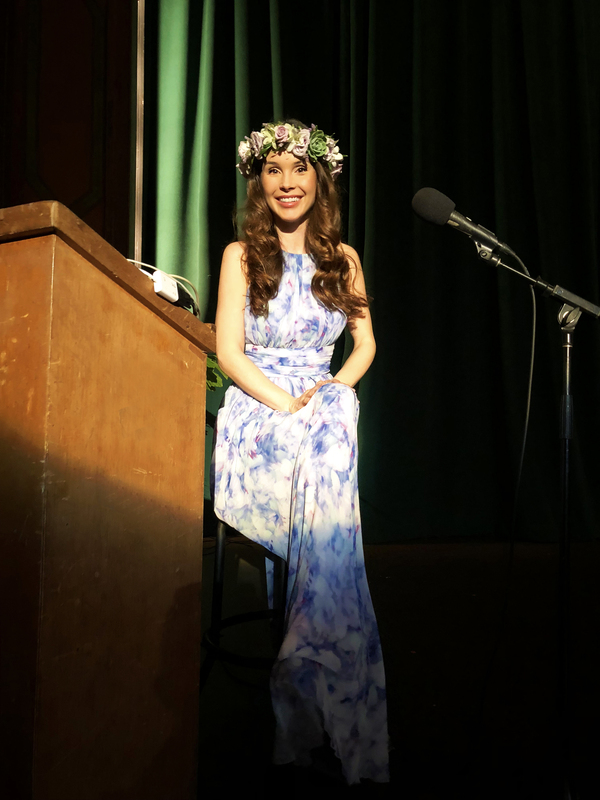 Leading the class is Hilo native, Kristina Anapau, who is an actress, writer and producer with over 20 years’ experience in the motion picture and television industry. Anapau has had leading roles in features and television including Black Swan, True Blood, Anger Management, House, Monk, CSI NY and many more. She first stepped behind the camera in 2013, co-producing the thriller, 5 Souls, and recently completed Kuleana, a mystery drama on which she served as executive producer. 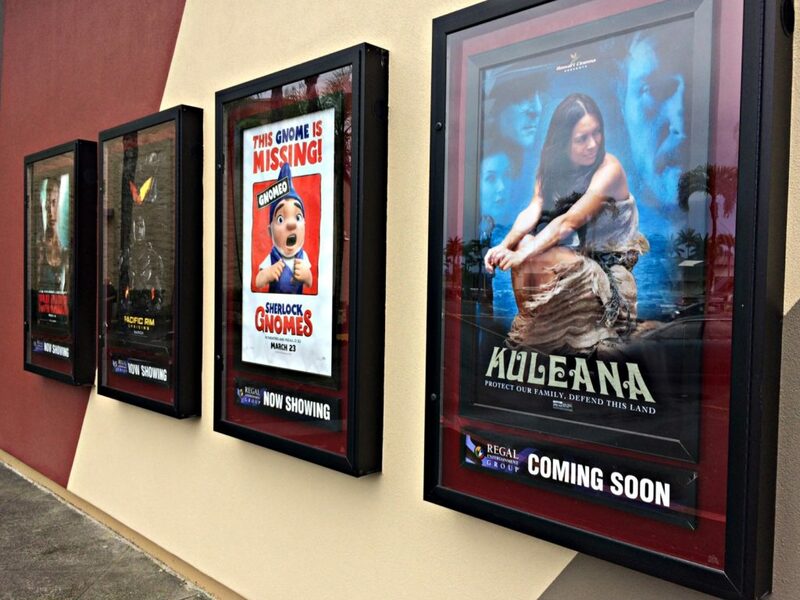 Kuleana, an independent film shot in Hawai‘i, has gone on to receive audience and critical acclaim at several prestigious film festivals around the country. Anapau is also the creator and executive producer of The John Kerwin Kids’ Show, a Tonight show for kids which airs nationwide on DirecTV. In the acting session, Anapau will cover training, marketing, getting an agent, audition technique, working on set and will set aside some time for participant cold readings and critiques. In the producing session, she will cover selecting and developing material, packaging your project, getting financing, budgeting, physical production and distribution. This workshop is intended for those who seek professional level training in these areas so as to pursue career opportunities in these fields, or for those seeking a broader understanding of how these skill sets and functions relate to the overall motion picture production process. For more information, contact johnmasonkona@gmail.com or to register or call (808) 464-4379. The workshop price is $15 for students, $20 for SAG members and $25 for the general public. Light breakfast refreshments and a pizza lunch is included in the price. Please go to http://4g4hope.modernluxury.com/hawaii-anapau/ to vote now! Acclaimed as one of MovieMaker Magazine’s “20 Can’t-Miss Festivals,” the Big Island Film Festival (BIFF) 2013 will take place May 23-27 at The Fairmont Orchid, Hawai‘i and The Shops at Mauna Lani. A celebration of narrative filmmaking, BIFF 2013 includes film screenings, social events, screenwriting workshop and a closing night “Best of the Fest” with a top Hawaiian music concert and movies chosen by the audience from Festival entries. The majority of BIFF events take place at various locations within The Fairmont Orchid, Hawai‘i, including daytime film screenings in the air-conditioned amphitheatre, filmmaker workshops, celebrity receptions and salutes, as well as “festival films” (up to R) and Best of the Fest, at Plantation Estate. Family films (up to PG-13) are shown at The Shops at Mauna Lani Center Stage, where admission is free. Past years celebrity honorees have included Hawai‘i actresses Eloise Mumford (The River), Kristina Anapau (“Black Swan”, “True Blood”) and Sarah Wayne Callies (“The Walking Dead”), Tom Berenger, Cary Hiroyuki Tagawa, D.B. Sweeney, John Saxon and filmmakers Ron Osborn, Rick Stevenson, David Winning and Scott Stewart. And, such noted Hawaiian musicians as Makana, Brother Noland, John Cruz, Henry Kapono and Kohala have graced the stage. BIFF 2013’s “Golden Honu” Awards will be presented to the Best Feature and Best Short in Family, Student, Animated, Foreign, Hawaii and Audience Choice categories at a special Awards Brunch to honor the filmmakers and their works on Monday, May 27. Numerous alumni films have won awards at prestigious film festivals around the world, and achieved commercial success in the industry. One of BIFF’s alumni short films, “The Buzkashi Boys” is a current Oscar nominee, and another, “The Sea is All I Know” starring Academy Award-winner Melissa Leo, was a nominee last year. The Big Island “Talk Story” Film Festival is a celebration of narrative filmmaking. 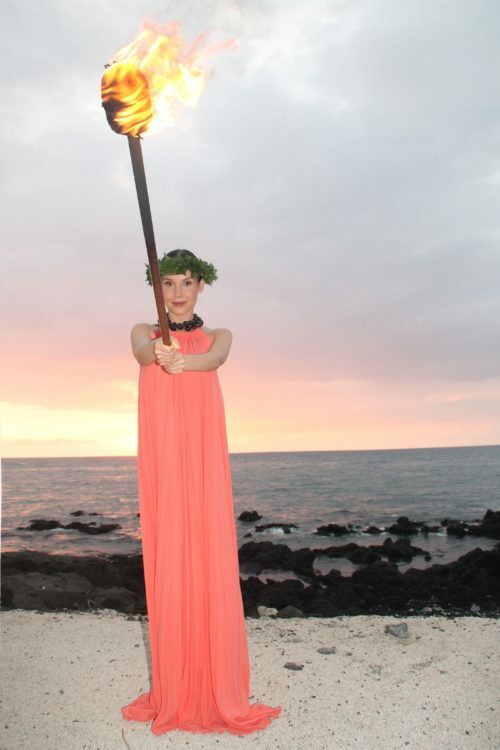 Sponsors include The Fairmont Orchid, Hawai‘i, The Shops at Mauna Lani, County of Hawai‘i, Dept. of R&D: CPEP Grant/Hawai‘i Tourism Authority, Redeeming Light International, Inc. and others. For detailed information visit www.BigIslandFilmFestival.com, find them on Facebook, or 808-883-0394. 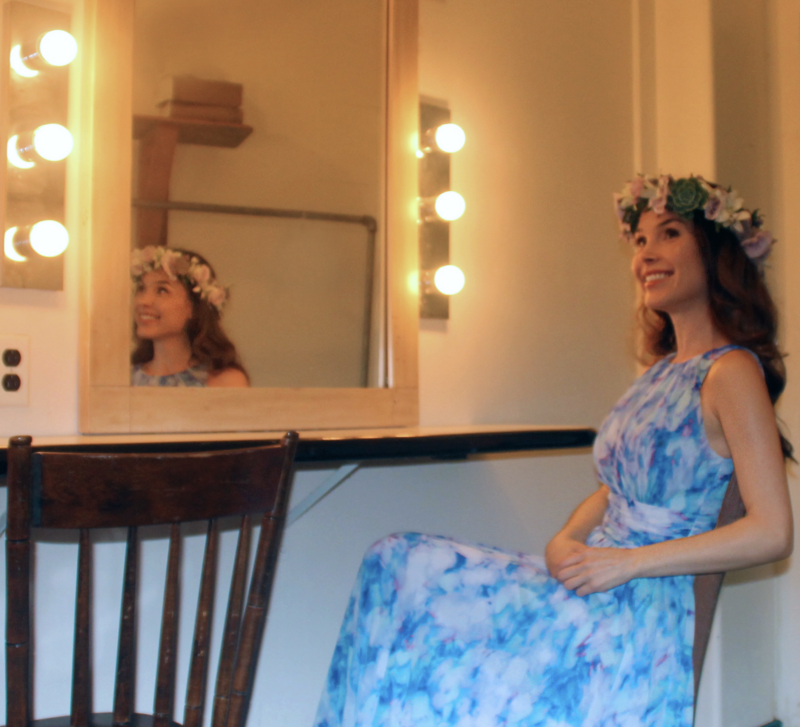 Former Big Island resident and actress Kristina Anapau, known for her role as faerie Maurella on True Blood, is competing against three fellow Hawaiian celebrities to snare $10,000 in a competition run by Verizon Wireless and Modern Luxury Hawaii. Also participating are Hawaiian natives surfer Jamie O’Brien, artist Heather Brown, and musician Jake Shimabukuro. Anapau, whose mother was diagnosed with Cancer in 2012, says she will donate the money to the Stand Up to Cancer Foundation should she win. Stand Up To Cancer, a program of the Entertainment Industry Foundation (EIF), was created to accelerate innovative cancer research that will get new therapies to patients quickly and save lives now. Anapau, who hails from Hawaii, stars on TVs True Blood. In 2013, she will also star in the films BlackJacks and Sighting. Hawaii’s Big Island Film Festival (BIFF) 2013, one of MovieMaker Magazine’s “25 Film Festivals Worth the Entry Fee” and “25 Coolest Film Festivals,” is now accepting entries for the May 23-27 events at The Fairmont Orchid, Hawai‘i. A celebration of narrative filmmaking in inspiring Hawai‘i Island settings, BIFF includes screenings, social events and networking opportunities, celebrity receptions, screenwriting workshops and more. A closing night “Best of the Fest” features a top Hawaiian music concert and movies chosen by our audience from Festival entries. Last year’s celebrity honorees included Eloise Mumford (“The River”) and NBC’s award-winning Story/Career Consultant Jennifer Grisanti. Awards. BIFF 2013’s “Golden Honu” will be awarded to the Best Feature and Best Short in Family, Student, Animated, Foreign, Hawai‘i and Audience Choice categories at a special Awards Brunch to honor the filmmakers and their works on Monday, May 27, 2013. Numerous alumni films have won awards at prestigious film festivals around the world, and achieved commercial success in the industry. Success stories. The made-in-Hawai‘i comedy “Get A Job,” was screened in Spain during the Marbella Film Festival and numerous other festivals around the world. “Get A Job” is currently being shown in Hawai‘i theatres, prior to mainstream DVD release this fall. From Canada, “Irvine Welsh’s Ecstasy” continues to garner acclaim at international film festivals, and both the film DVD and its soundtrack are enjoying commercial success. 2012 films “Searching for Sonny”, “Qwerty”, “The Italian Key” and numerous others have enjoyed success on film festival circuits, as have 2011’s “The Dead Inside”, “Uncle Melvin’s Apartment” and numerous other BIFF alumni film projects. “The Drummond Will” (2011) has been acquired by House Lights Media Partners for Theatrical and Non-Theatrical North American distribution. “Lunatics, Lovers, and Poets” (BIFF 2009) was distributed in 10 states through Carmike Cinemas, and by North American Home Entertainment DVD contract with Seminal Films. “Remarkable Power” starring Kevin Nealon (2009 BIFF Best Feature) was released through most cable outlets as a PPV title before DVD release. “Two Tickets to Paradise” (BIFF 2008), and “Rain in the Mountains” and “Sixes and the One-Eyed King” (BIFF 2007) have been released on DVD. The Big Island “Talk Story” Film Festival is a celebration of narrative filmmaking, with free family films under the stars, international features and shorts screened days and evenings at The Fairmont Orchid, Hawai‘i, stellar social events, celebrity receptions, screenwriting workshops, film awards and much more in an outstanding island setting. Anchor sponsors include: The Fairmont Orchid, Hawai‘i, Hawai‘i Tourism Authority/Hawai‘i County Department of Research and Development CPEP, Kenwood Vineyards, Redeeming Light International Inc. and many other generous sponsors and supporters. Local Girl Kristina Anapau on Last Night’s True Blood – Who is the Father of Maurella’s Baby? I’ve gotten a chance to become friends with Kristina Anapau over the last couple years and she let me in on a secret last year that she was going to be in the final episode of last years True Blood television series. Yesterday, I noticed a lot of folks visiting that post for some reason and now today Kristina has posted the following youtube clip to her “fan page” on Facebook. Sookie found an ancient/vintage scroll under Gran’s bed and took it to Maurella so she could translate the contract. The burning question is: Who is the father of Maurella’s baby?! One of MovieMaker Magazine’s “25 Film Festivals Worth the Entry Fee” and “25 Coolest Film Festivals”, Big Island Film Festival (BIFF) 2012 is now accepting entries for the May 24-28 events at The Fairmont Orchid, Hawai‘i and The Shops at Mauna Lani. A celebration of narrative filmmaking, BIFF 2012 includes screenings, social events and networking opportunities, celebrity receptions, screenwriting workshop and a closing night “Best of the Fest” with a top Hawaiian music concert and movies chosen from Festival entries. 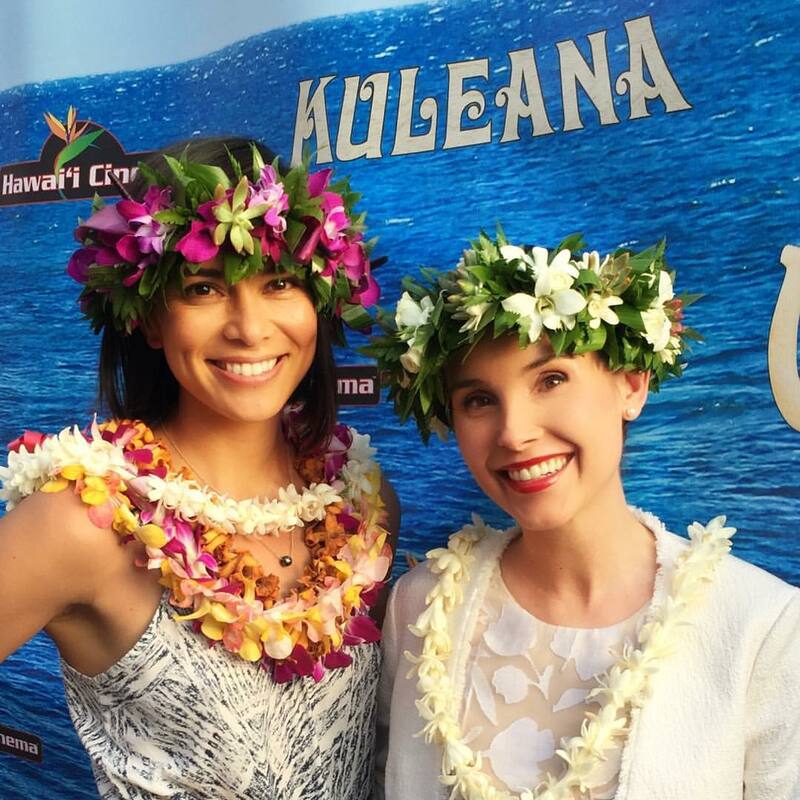 Last year’s celebrity honorees included Hawai‘i actresses Kristina Anapau (“Black Swan”, “True Blood”) and Sarah Wayne Callies (“Prison Break”, “The Walking Dead”). BIFF 2012’s “Golden Honu” will be awarded to the Best Feature and Best Short in Family, Student, Animated, Foreign, Hawaii and Audience Choice categories at a special Awards Brunch to honor the filmmakers and their works on Monday, May 28. Numerous alumni films have won awards at prestigious film festivals around the world, and achieved commercial success in the industry. BIFF 2011 Best Foreign Film “The Drummond Will” has been acquired by House Lights Media Partners for Theatrical and Non-Theatrical North American distribution. Audience Choice 2011, the made-in-Hawai‘i comedy “Get A Job”, was screened in Spain during the Marbella Film Festival and has enjoyed a successful festival circuit release, as have “The Dead Inside”, “Uncle Melvin’s Apartment” and numerous other BIFF alumni film projects. “Lunatics, Lovers, and Poets” (BIFF 2009) was distributed in 10 states through Carmike Cinemas, and by North American Home Entertainment DVD contract with Seminal Films. “Remarkable Power” starring Kevin Nealon (2009 BIFF Best Feature) was released through most cable outlets as a PPV title before DVD release. “Two Tickets to Paradise” (BIFF 2008), and “Rain in the Mountains” and “Sixes and the One-Eyed King” (BIFF 2007) have been released on DVD. The Big Island “Talk Story” Film Festival is a celebration of narrative filmmaking, with free family films under the stars at The Shops at Mauna Lani, international features and shorts screened days and evenings at The Fairmont Orchid, Hawai‘i, stellar social events, celebrity receptions, screenwriting workshops, film awards and much more in an outstanding island setting. 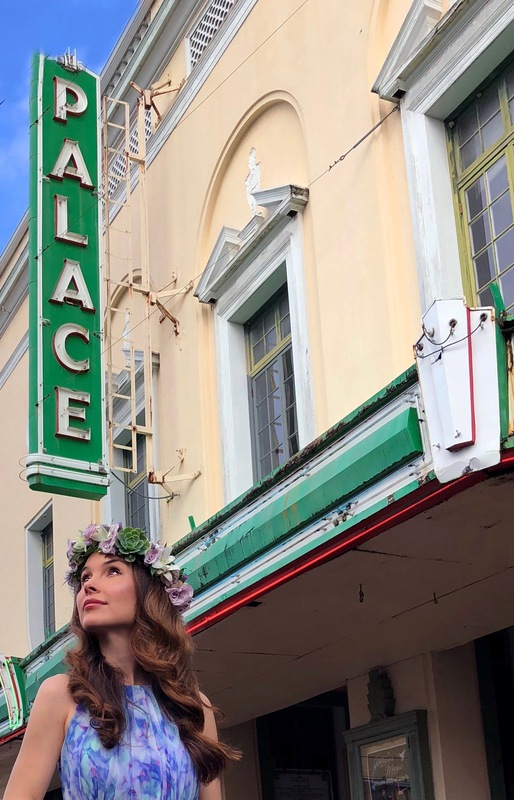 The Big Island Film office and the University of Hawaii at Hilo Performing Arts Department have teamed up to bring local girl Kristina Anapau home for a one-day acting workshop covering the business of film and television. The workshop will be held this Sunday, October 9th from 10:00 am to 1:00 pm at UH Hilo. I noticed that Anapau seems to play characters in a lot of suspense type of movies and so I asked her what her favorite suspense movies were and she noted that “Sea of Love” and “Witness” were two incredible suspense films that she favorites.